Great that you are making this guarantee. Ok thank you, maybe I missed that on the verification page. No problem! You can also send us an email during the verification process with your sites at reviewers at musicoin.org. I understand that not everyone has a Facebook or Twitter account, but verification via other sources online is important to ensure that people coming aboard are not trying to game the system to attempting to monetize someone else’s work. Established musicians can present links to their own webpages or Bandcamp pages as well! It should not be wasted. But it's afraid that maybe big companies won't care user experience very much for their established box. The design here is definitely a cool one, if it connects to the real world business. 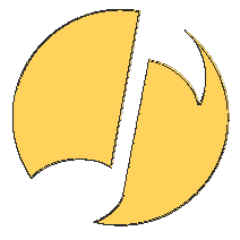 Welcome to join Musicoin Project to make the freest music product and service. No. A coin can’t exist until it is mined. A portion of mined MUSIC is directed towards the artist pool to be used to fund our free musicoin.org platform. Miners are free to use the remaining coins however they see fit. This is not unlike Dash setting aside a portion of mined coins for their marketing budget, except we believe putting money into the hands of the artists is a far better use case. Paul, aportion of mined Musicoin goes into the pool used to pay artists. The miners are free to hold and/or trade the remainder. This is literally no different than Dash allotting a portion of mined Dash for their marketing budget, however, we believe putting assets directly into the hands of the artists is a far better use case. Absolutely, people don’t want to pay overcharged subscriptions.